The two most common and well-known mental health issues are depression and anxiety. About 19% of Americans experience depression at least once in their lives. The figure for anxiety is as high as 30%, though that’s not quite as bad as it sounds because there is significant overlap. For most psychologists, treating depression and anxiety is their bread and butter. These are also the diagnoses for which medication is most often prescribed. But saying anxiety and depression are the most common mental health diagnoses is a bit like saying pain is the most common bodily health diagnosis. If a doctor diagnosed you with chronic back pain or pain disorder unspecified, you wouldn’t be very impressed. Your back doesn’t hurt because you have back pain, since back pain is just another way of saying your back hurts. A symptom is not a diagnosis. What is true for the body is also true for the mind. Terms like major depression or separation anxiety are descriptions of a pattern of symptoms, not of an underlying disorder. This can be easily seen in the way the definitions change from time. For example, in the transition from the fourth edition of the Diagnostic and Statistical Manual to the fifth edition, the bereavement exclusion for depression was removed. This means you can now be diagnosed with depression without a waiting period after the death of a loved one. I believe we can, and should, go one step further. It is more accurate to see depression and anxiety as symptoms than disorders. But it is more accurate still to think of them as what they truly are: emotions or feelings. It has become something of a cliche in the mental health profession to say this, but it remains just as true: feeling depressed or anxious is not in itself a problem. It is only when these feelings become excessively strong and persistent that they should be considered a problem. Disordered emotional patterns are a manifestation of underlying concerns. Often—many would argue extremely often—they are manifestations of complex trauma or C-PTSD. Thinking about mental health in this way reminds us of the need to think about all negative emotions and feelings, not just about anxiety and depression. One of the most important of these emotions is shame. There is no such thing as “generalized shame disorder.” People seeking therapy are rarely given a psychological assessment for their levels of shame, though these assessments do exist. But shame often plays a central role in many mental health concerns, both in terms of the subjective experience of the person experiencing them and the mechanism that causes distress and prevents recovery. Complex posttraumatic stress (C-PTSD) in particular is characterized by the central role shame plays in its function and expression. C-PTSD happens when a person experiences repeated suffering or prolonged abuse at the hands of someone they have a personal relationship with. Most often this person is a parent or caregiver, and the abuse often occurs during childhood. Shame often plays a central role in many mental health concerns, both in terms of the subjective experience of the person experiencing them and the mechanism that causes distress and prevents recovery. Complex posttraumatic stress (C-PTSD) in particular is characterized by the central role shame plays in its function and expression. The expression and range of symptoms vary greatly from person to person. But they can all be understood to be a process of learning to survive under adverse conditions. For example, dissociative episodes in which a person feels detached from what is happening to them might have originated as a way of surviving painful abusive episodes from which they could not escape. Shame is another important symptom of C-PTSD. It can also be understood in terms of a process of adaptation to traumatic circumstances. 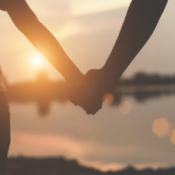 When someone frequently faces abuse at the hands of someone they rely on for food, shelter, or other basic needs, they might begin to cope by internalizing feelings of hatred the abuse naturally evokes. When a victim blames themselves for what is happening, it may be easier to relate to the abuser as a caregiver when necessary. This process of learning to self-blame can instill deep feelings of shame that persist long into later life. People with C-PTSD often find themselves gripped by intense feelings of shame that debilitate them and trap them in a cycle of despair. 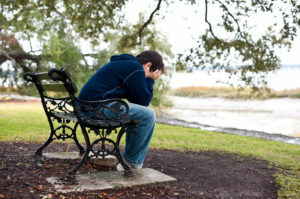 Intense and uncontrollable feelings of shame can be a major obstacle to recovery. They prevent people from being able to confront what happened in the past. But this is a necessary part of the healing process. Just like depression, anxiety, and stress, shame is not inherently bad in all situations. It can be helpful to keep this in mind. For example, imagine a situation where you have done something wrong or immoral. You know no one is likely to find out about it, but your actions still caused harm to another person. Do you confess and try to make amends? We would all hope to answer “yes.” But if you do pass this moral test, what emotion prompted you to do so? The answer is shame. Shame is the voice that tells us, in this case correctly, that we have done something wrong. The path to long-term recovery from C-PTSD takes us through a new process of learning and adaptation. On this journey, the various emotions and feelings that make up the human personality can find their proper balance. If you would like support exploring symptoms and beginning to work toward healing, seek help from a qualified, compassionate therapist or counselor today. I would love to read more about this. I have been watching some youtube videos lately, interviews with Kathy Kain and also Peter Levine on somatic shame. It seems like a really important piece of the puzzle. According to Brene Brown, who studies shame, shame has not constructive function such as make people behave in a better way, as opposed to feeling of guilt.